If a building needs evacuating in an emergency it is essential that all employees and visitors can quickly work out where to go in all the confusion and panic that ensues. Refuge point signs should be used around your premises so that disabled people know where to safely wait for assistance in vacating the building. Such signs also ensure that fire marshals and those employees responsible for assisting with the evacuation of a building know to check safety refuge points. There are various sign options available, with many materials being suitable for use both indoors and out. However, if you cannot find the signs that you need then we can create one to your specifications. For anyone with mobility difficulties or any other disability, an emergency evacuation is likely be an exceptionally alarming time. Provide reassurance by clearly displaying refuge point signs around your premises so that in the event of an emergency, everyone can easily understand where to go. A refuge point is a place where anyone who needs assistance in leaving the building can safely wait for help. 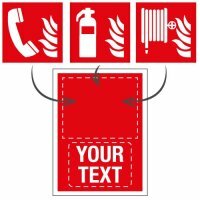 Clear signage, for example emergency exit routes, fire assembly points and refuge points is vital in helping to prevent injuries and even fatalities in the event of a fire or other emergency that requires the evacuation of a building. Evacuating everyone as quickly and safely as possible is the priority in the event of such an emergency. To make sure that all of those waiting at the refuge points can escape easily from the premises, look at our extensive range of escape and evacuation equipment which includes, for example, evacuation chairs, emergency escape kits and emergency escape route plan kits. Our refuge point signs are available in a number of different options to suit a wide variety of workplaces. All are easy to read and include the easily recognised wheelchair pictogram. The design of the signs makes them easily visible; but for dim light we have photoluminescent refuge point signs that glow in the dark to increase safety in the event of a power failure. Under UK and EU law, it is a legal requirement for workplaces to comply with a number of health and safety rules and disability laws, which can often cause confusion when equipping a workplace. However, you can shop with confidence at Seton. 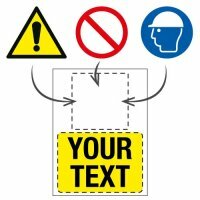 As one of the UK’s leading workplace sign and equipment suppliers, we make sure that all of our products comply with current legislation. To ensure the safety of everyone on the premises, use our refuge point signs in conjunction with fire exit signs, fire assembly point signs and fire door signs to give all employees and visitors the peace of mind of knowing that their safety is your top priority. Make sure that your signs remain securely affixed with screws, adhesives or hooks. At Seton, we provide an extensive range of refuge point signs in a number of options that will suit most workplaces. However, as all business premises are unique, you may require something that is not included in our range. If so, then why not create your own custom-made sign to provide the sign that exactly meets your requirements – it is easier than you may think, just 5 simple steps.